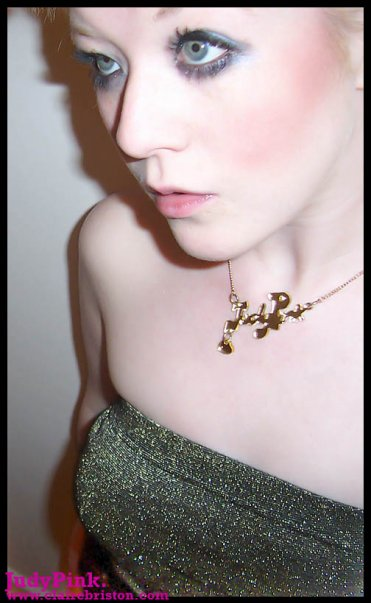 Tatty Devine S/S 09: The Magpie Collection. Being as superstitious as I am, you’d probably think I’d be totally opposed to the new S/S 09 magnificent Magpie collection… however, I’m more attracted to it than any of the previous collections… I think. The Magpie collection is absolute genius, and in a good karma style, all pieces are sold in pairs, to avoid the old ‘one for sorrow’ superstition; therefore, all pieces can be able absolute joy to wear! (image shown is around actual size). The Swarovski crystals complete this necklace with stylish pizazz! The birds are 11cm wide and the chain is 32cm. Pair of Magpie Brooches, £61.00. Pair of Magpie rings, £12.00. These rings are a pair, two for joy! Each pair contains two different sizes. Looking forward to the A/W 09 collection from Tatty Devine; they never ever cease to amaze!